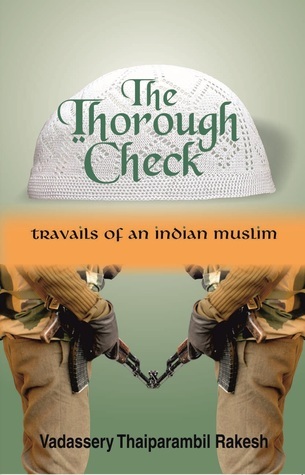 Another book in #TornadoGiveaway 3 by The Book Club is The Thorough Check by VT Rakesh. So much has been talked about to quell the great religious divide in India. But it pervades like a dust storm all across the society, politics, business, and intelligentsia. Here is an honest attempt to see the nation first, a nation that cannot afford to talk divisive after sweltering for hundreds of years under foreign rule and their loot. This is the story of a police officer, who puts his life at stake in protecting the country. Narrated at the backdrop of some scintillating scenes of love, passion, and adventure, it keeps the readers glued to the content. The earthly appeal, scenic locales, and the contemporary relevance, make it a darling for all age groups. The book creates yet another “Tryst of Destiny,” this time in the twenty first century. The protagonist achieves what the creators of this nation could not, a change of heart of the hardliners. A must read for the world citizens of tomorrow – Vasudaivakudumbakam. 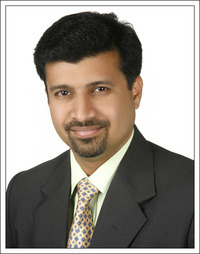 Vadassery Thaiparambil Rakesh was born to Mr. K.A. Menon and Mrs. Rema Menon, in a sleepy village of Kerala, amidst the greenery of paddy fields, overflowing ponds and canals, croaking of frogs and the mysticism of snake worship. He remembers the gruelling travel that he and his elder brother had to go through, to reach the only English medium school in the area, sometimes having to swim across the canals brimming with the monsoon waters. Like most of his generation, Kapil Dev's bouncers and Gavaskar's straight drives made an impression in his mind. However, the financial necessity to earn a professional college degree got the better of his cricketing ambitions.He did his B.Tech in Mechanical Engineering from the Government Engineering College, Trissur. All the graduating batches are like the exploding seedpods of Balsam. Amongst the various seeds that were dispersed to the different corners of the world, he landed in the holy land of Gujarat. Having completed his MBA in Marketing from the acclaimed Maharaja Sayajirao University, he works in Baroda for a private company.Bitten by the world of magical realism of a Garcia Marquez, Thriller tales of a Maclean or an Archer, nationalistic fervour of a Tharoor or a Nilekani, he finally took his dive to the deep ocean of writing. Married to Ms. Nisha Ponnoth, they have a son, Rishi.